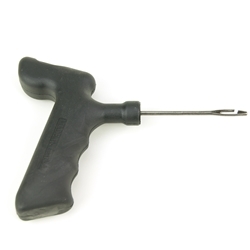 Tire Repair Tool Pistol-Grip Open Eye Needle 31inc 14-212 / BOWES TT37212. A tire repair can only be successful if the technician is well equipped to do the job. For this reason, we offer the largest selection of quality tire repair tools in the industry today.